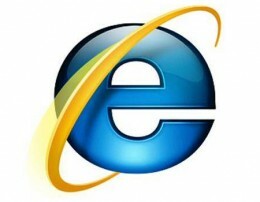 Microsoft Internet Explorer is one of the most used browsers in the world. It comes with the windows and also you can get it from the microsoft website. According to my website report mostly people use internet explorer to surf the whole internet. Internet can be normally surfed without using a proxy. However when certain websites are blocked at your place say university or office then you need to configure your proxy settings in internet explorer to surf the blocked websites. Proxy configuration is very easy. It's a few step process. Proxy can be different for different protocols. However if you want to use a single proxy for all protocols then simply get the address of the proxy server and and configure as I will tell you. Another main thing about proxy is that it makes you internet connection slow. Hence it is very essential for you to find out the right proxy server or address which makes the connection average. It should not be too slow. You can also use softwares they also provide good speed to surf as mostly their servers are located in countries like USA and UK. 3. Go to Internet Properties. 4. Go to Connections Tab. 7. Now Enter the Proxy Server address and the Port Number through which it will communicate. 8. If you want to use different proxy servers for different protocols then click on Advanced settings and put on proxy servers for different protocols such as Https, SSL,Secure Ftp and socks, Gopher. Now if you want to use only one proxy server which may be anonymous, transparent or any other then simply put the add. and the port no. and click on apply and ok. This is the simple process which leads you to configure your proxy server. If the proxy server doesn't work try for another one or if you want to surf normally then Again go back to lan settings and uncheck the Use a proxy server for LAN. After doing that you can surf the internet normally. I hope it will be helpful to all of you. Just don't get caught in public places surfing the wrong website at the wrong time. Best of luck.